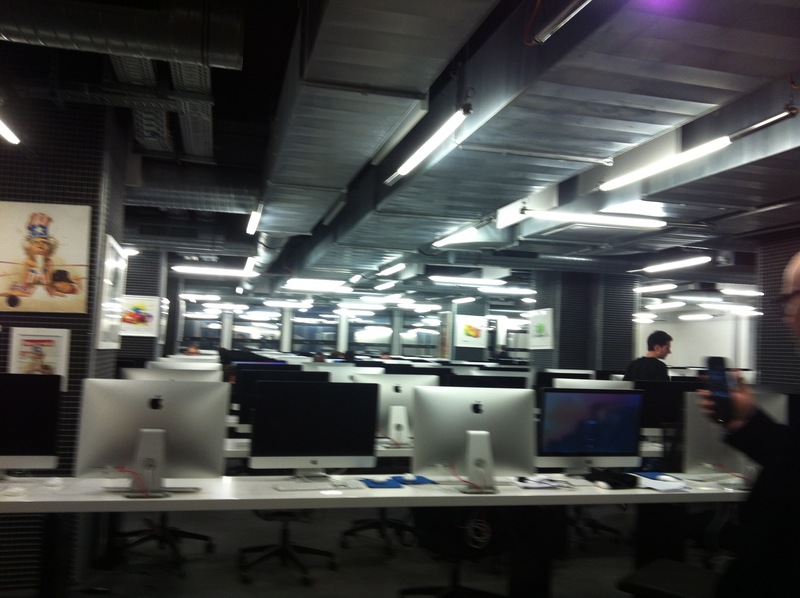 10 days ago I took my two eldest to a Coder Dojo session in Paris. Coder Dojo is a volunteer-led initiative to teach children how to code. Founded in 2011 in Ireland, it is now a global movement of community based programming clubs for young people. It was our first participation, so I can only describe what I saw. The session we attended took place at the Ecole 42 premises, Saturday afternoon from 2 to 5 pm. There were around 30 children participating, between 7 to 15/16 years old, along with parents, mentors and volunteers from the Coder Dojo association or from the Ecole 42 students as well. The guiding principle of the afternoon, and of the workshops, can be summed up in 2 words, from what I saw : « assisted autonomy ». I make a nuance here, and insist on « assisted » rather than « guided », as the children were not given an objective to attain. The volunteers and mentors were rather here to help them with any obstacles they encountered in order to reach their own objectives. Which supposes a pre-requisite : having the child know what he/she wants to do ! That part can be a little tricky, as all children are not spontaneously creative in whatever situation. I have to say I was a little worried for mine, the eldest, a boy of 13, willing to try « mobile app programming » for the first time, and the second, a girl of 9, doing « advanced Scratch » but without having an extensive knowledge of the software. 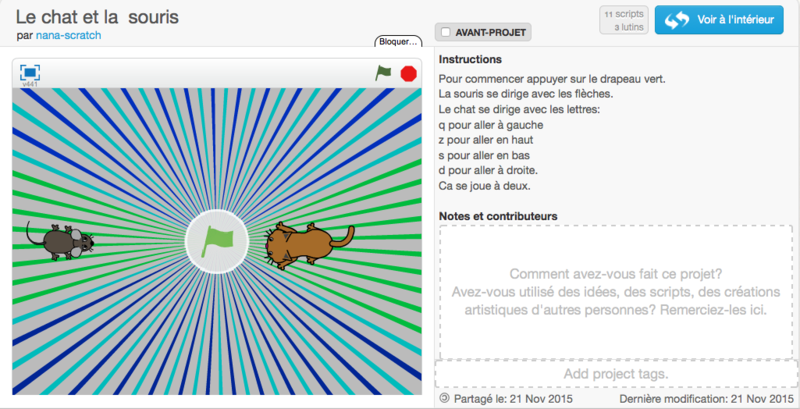 However, past the first 10/15mn of expecting wait and with a little help from the mentors for picking up a theme, for creating a game with Scratch for instance, everything went very smoothly. I was even quite surprised to see how motivated they were, and how easily they would sollicit their mentors for help. My daughter created 2 games that she was very proud of, and my son got a taste for mobile app programming that I hope will develop in coming weeks / months. The session ended with a showcase of some children’s realisations : at least those who were willing to and not shy to share ! Were all children motivated equally? From what I saw, most of them certainly were. However, a couple of children were obviously alone, with neither brothers/sisters/friends nor their parents nearby, and those were left to themselves ; if they didn’t have an idea or a project, nobody would come and challenge them or force them to do something, and one of them even spent his afternoon playing on his computer instead of actively taking part in the workshops for instance. That’s certainly the limit of the « assisted autonomy » principle : it doesn’t fit everyone, and in the case of children, the « assisted » could certainly deserve to become a « guided »… but that would probably need even more involvement from the coaching team, and more than mere volunteering ! Were there as many girls as boys ? Well, I leave the answer to you : unfortunately, not ! Even if I was very happy to see very motivated little girls, and a sweet trio of adolescents working on their mobile app, the majority was masculine… with a similar ratio among parents ! Even though the session was organised by a female developer studying at Ecole 42, Clara Corazza, which hopefully will inspire more girls to participate to such sessions. Those initiatives are great and need to be encouraged, as they are still too rare in Paris. 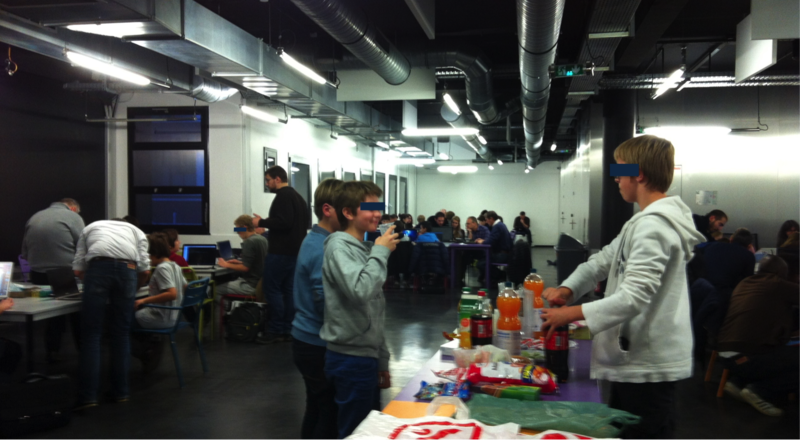 The Coder Dojo Paris team is mainly in need of premises (if you have a big space with tables and wifi, call them !) and more volunteers / mentors to organise more frequent workshops, so if you fit in either category, do not hesitate to contact them! And many thanks to Clara and all the organizing team for this great afternoon !